Resistance Tester in accordance to ISO 2878. For conductive and antistatic rubber products. 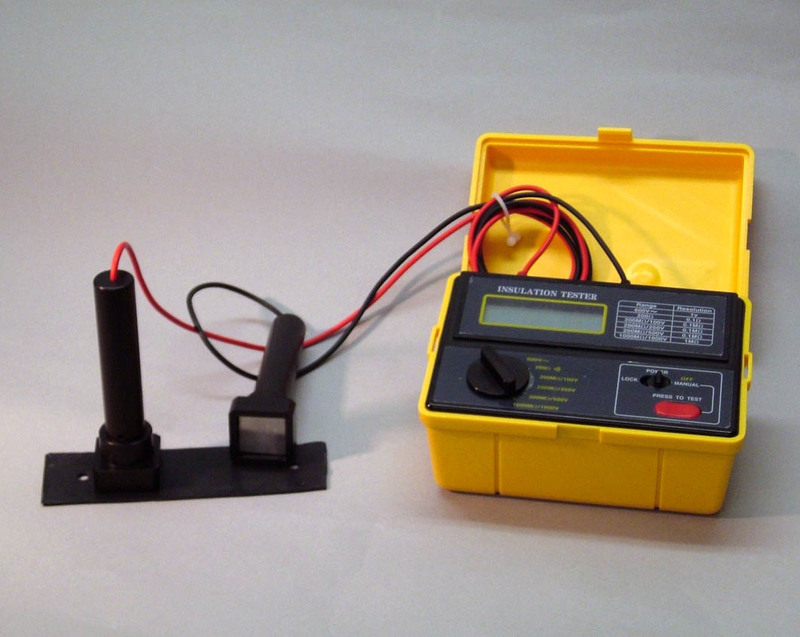 A battery driven mega ohm-meter which can produce test voltages from 250VDC to 1000VDC. Includes insulated stainless steel electrodes and one pen with conductive silver paint and 1 lt. of conductive fluid.